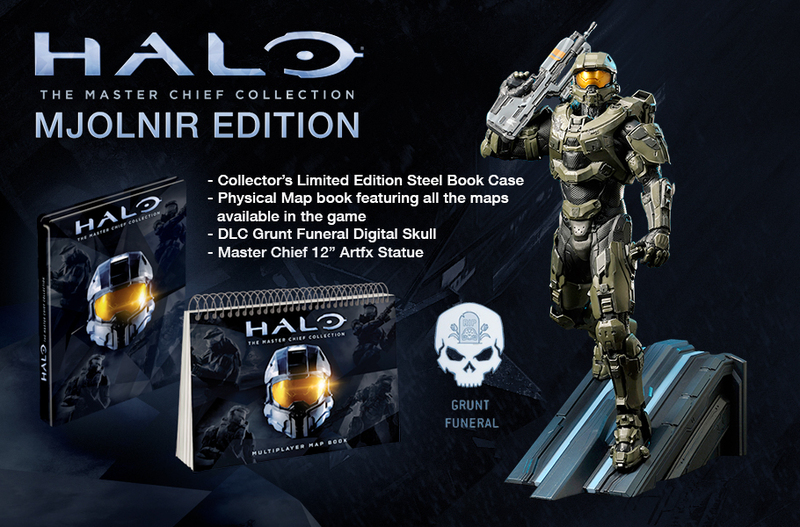 Halo: The Master Chief Collection – Limited & Mjolnir Editions! GAME UK just announced two editions for Halo: The Master Chief Collection – Limited Edition and Mjolnir Edition. 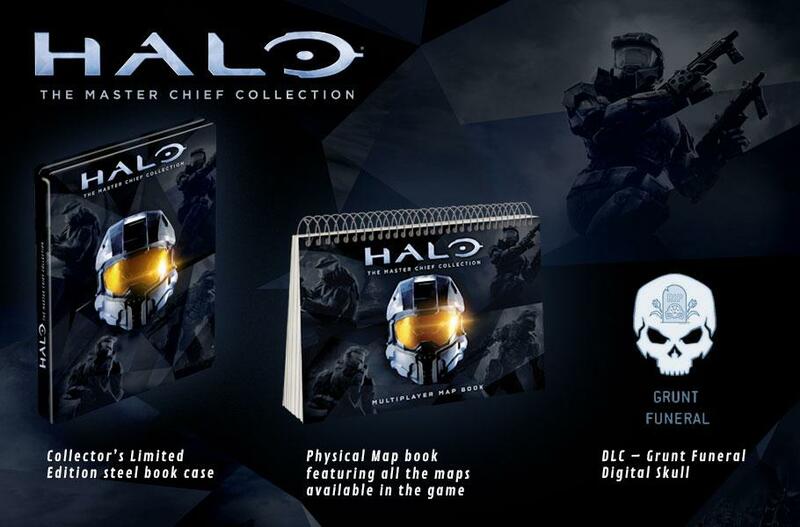 The Limited Edition comes with a Limited Edition steel book case, a physical map book, and the Grunt Funeral Skull. The Mjolnir Edition comes with a 12 inch Master Chief Statue from Kotobukiya. This entry was posted in Halo: The Master Chief Collection and tagged Halo, Halo 2 Anniversary, Halo Master Chief Collection, Halo MCC Limited Edition, Halo MCC Mjolnir Edition, Halo: The Master Chief Collection, Halo: The Master Chief Collection Limited Edition, Halo: The Master Chief Collection Mjolnir Edition, Xbox One by Chief Canuck. Bookmark the permalink.